Featured in the Washington Post, Boston Globe, LA Chronicle, Texas Monthly, Miami Herald, Tucson Citizen, Austin Home & Living, Travel Lady Magazine, Bent Weekly and Edible Dallas/Ft.Worth. The cooking school will be closed during the month of May. 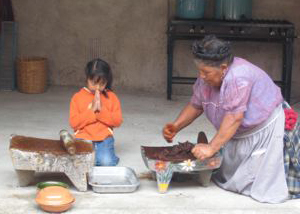 Immerse yourself in the gastronomy and culture of Mexico. 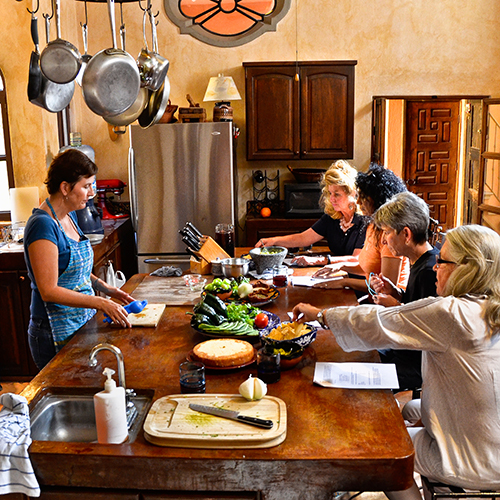 At La Cocina we offer more than just a cooking classes—we delve into the country's fascinating heritage and history, allowing you to transport a true culinary experience into your own kitchen. Cooking classes are conducted in English. They're hands-on, unless you prefer to sit back and relax. 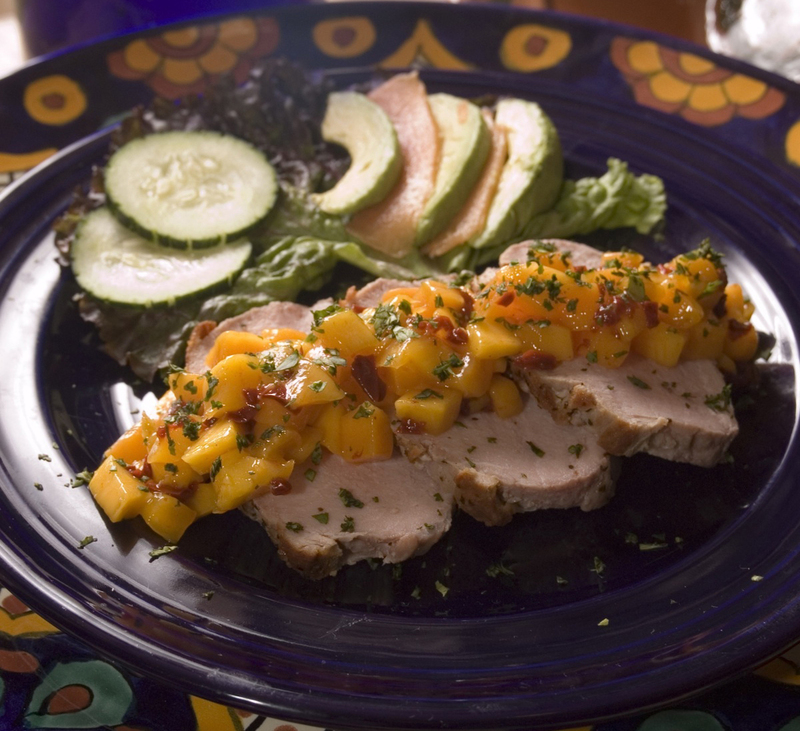 Full meals in the dining room, wine and/or margaritas, as well as recipe packets, are included in the price. For an indepth culinary and culture experience, join one of our week-long culinary tours. Due to limited space, advance payment is required to register. If you can't find a date or class that suits your needs, please contact us about a private class. Enjoy our recipes and cookbooks. Enjoy an in-depth San Miguel culinary experience. 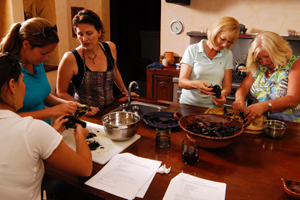 Our immersion program includes 4 nights at La Cocina B&B, a welcome dinner, the intensive cooking class with market tour, as well as 2 other classes depending on your interests. 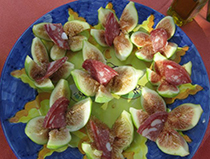 Join one of our Delicious Expeditions! Discover the secrets of the Mexican kitchen with Guacamole made in the molcajete, Mole Poblano with Chicken, Cheese Chiles Rellenos, Mexican Red Rice, a side of Cactus, a dollop of Mexican history, a dash of cultural insight, and a slice of Tres Leches. 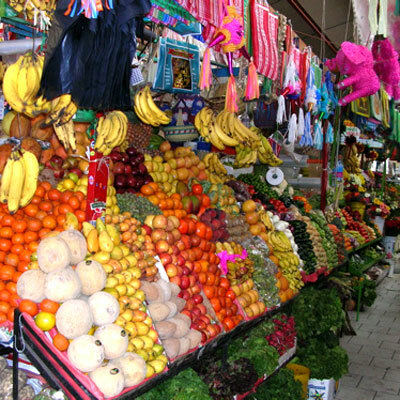 Delve into Mexico's culinary history while perusing the stalls of our colorful market, discovering and tasting local delicacies along the way. Head back to La Cocina to prepare lunch, incorporating indigenous ingredients, such as huitlacoche and squash blossoms. Enjoy a Mezcal tasting. Sample menu: Roasted Tomatillo Salsa, Skirt Steak in Chile Pasilla Salsa, Squash Blossom Quesadillas, Cactus Salad, Beans in a clay pot and Mamey macerated in Tequila. Learn to make healthy Mexican dishes, both traditional and modern, with recipes from Kris's Mexican Light. cookbook: Shrimp in Pumpkin Seed Sauce, Chicken with Roasted Poblanos, Jicama, Avocado & Pineapple Salad, Tropical Fruit Salsa macerated in Mezcal w/ Coconut Ice Cream. 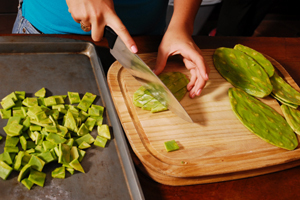 Discover a new way to prepare exciting dishes focusing on creative methods for using Mexican ingredients. Roasted Tomatillo-Avocado Salsa, Grilled Vegetable & Goat Cheese Chiles Rellenos, Pork Loin with Mango-Chipotle Salsa, Saffron Rice, Chayote Salad, Chocolate Kahlua Cake. Explore the famed sauces of Mexico while learning their history and cultural significance. Roasted Garlic Soup, Black Mole with Pork Loin, Green Mole with Chicken, Almond Mole Brownies. Begin your morning at the market, perusing the colorful stalls and choosing from the season’s best ingredients for the day’s meal. Break for Churros and Chocolate before heading to La Cocina where you’ll prepare homemade Sopes made from freshly ground masa, Cream of Chayote Soup, Calabacitas with Roasted Corn, as well as a few other seasonal favorites. Enjoy margaritas and Flan Napolitano with Kahlua, new friends and interesting conversation. 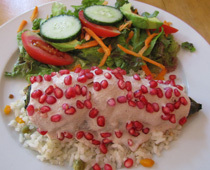 Learn to make Mexico's national dish: the Chile en Nogada, as well as stuffed Ancho Chiles, Mixed Vegetable Rice and Cream of Poblano & Corn soup. Kris has learned many secrets from Italy's best chefs, but more importantly from their grandmothers, during her 10 years leading culinary tours. Sample Menu: Pear & Gorgonzola Crostini, Risotto with seasonal ingredients, Osso Bucco, all served with the best Tirasamu ever! Learn quick, efficient baking from a professional. Kris has baked for her restaurant El Buen Cafe for the past 24 years. She's made more than a 1000 cakes, as well as too many cookies and pie crusts to count. Inquire about the menu. This class does not include a meal, but does include a package of your baked goods to take home. Kris's latest book was just released! Voices of San Miguel is a collection of memories that tells the story of one of Mexico’s most fabled towns. Featuring a mosaic of personal accounts, told by a diverse group of residents, Voices of San Miguel recaptures life during the Mexican Revolution and Cristero War. It details the influx of American G.I.s and the birth of an artist community. San Miguel’s unique history allows for unique stories and characters, people who come alive on these pages while sharing their experiences, hardships, and joys. 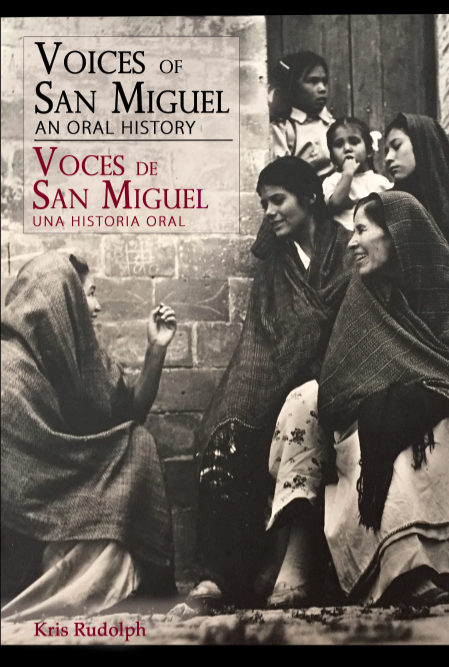 Join us for the Voices of San Miguel book presentation on February 15th at 6pm at Bellas Artes.